How about now? 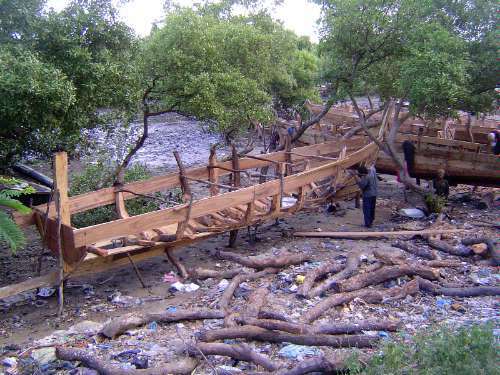 It's a dhow shipyard, and the men use no power tools, no power saws even. Everything's done the old way.